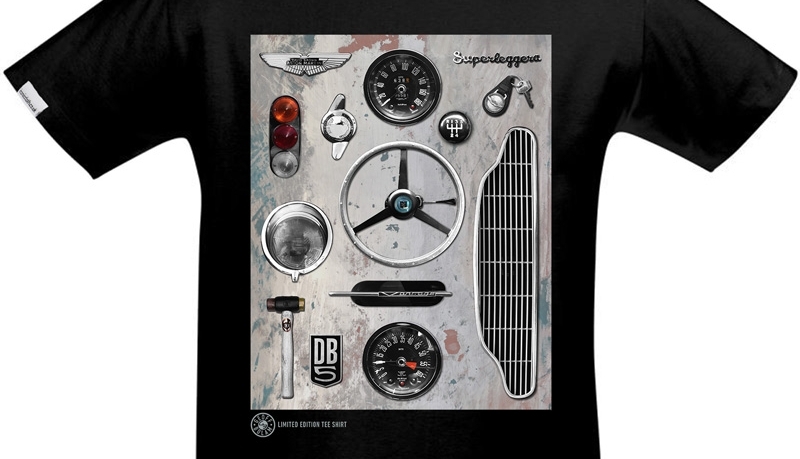 Over the summer I've been working on a new collaboration with Iconic Cloth who specialise in T-Shirts featuring motor sport & motoring art imagery. The first fruit of this is a design that features some of the key visual elements and accessories of the iconic Aston Martin DB5. A Limited Edition of just 50 shirts are being produced, each printed to order at £39.95 each + P&P. The shirts are available online from Iconic Cloth in Black, Grey, White or Blue and in sizes Small, Medium, Large, XL, XXL and XXXL.